« Should Writers Really Know How To Do Grammar and Spelling and Stuff? 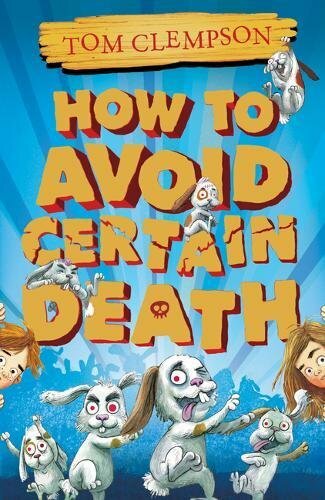 It’s called ‘How to Avoid Certain Death’, it’s my first book for kids, (Middle Grade/8-12) and it was SO MUCH FUN to write! I hope to write more kids’ books and I’d really like to do a series of “How to Avoid”s because there is so much more I could do with these characters and this world, but I’m not turning my back on YA (I have a long-gestating idea for a new Jack Samsonite book that it bursting to get out of my head. along with many other ideas). 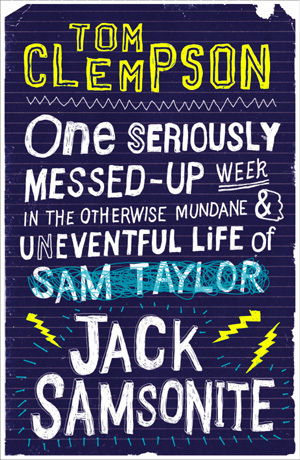 NOTE TO ANY KIDS READING THIS: You will not enjoy my Jack Samsonite books! They are for older kids, so don’t bother trying to read them until your in your mid-teens, or else! As usual I have gone for ‘funny’. 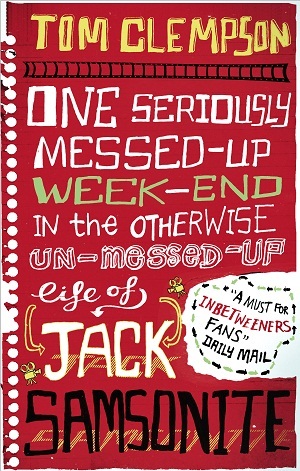 I’ve said this before, but if what I’m writing doesn’t make me laugh then I tend to get a bit bored of writing it, which I suppose throws out any notions of me ever going ‘serious’. The story follows a pair of ten-year-old twins as they embark on a mission to rescue their grandparents, who have been kidnapped by an evil pirate, and it turns out to be even more perilous, chaotic and downright weird than they ever imagined. Witches, Wizards, Zombie Bunnies, Kings, Queens, and shark infested waters all help to make it an adventure to remember. I’ve done my usual dumb trick of ignoring the latest trends in “what’s hot now!”, and have just gone and written the exact kind of book I felt like reading, but couldn’t find anywhere (not including The Princess Bride by William Goldman, which was an obvious inspiration, and a real benchmark for me). It’s a mash up of loads of my favourite stuff, all thrown into one whirlwind of a story, with the two main characters influenced by those in stories that my granddad used to make up (which were based on my mum and uncle when they were kids) and a gloriously evil pirate who just popped into my head one day when I was in the bath and instantly had me laughing. As always I’m extremely eager to hear what you think of the book after you’ve read it – what you liked, what you didn’t like, and why? You could leave your thoughts in the comments below, or send a message via the ‘contact me’ form on this blog, or even write a review on the website of the shop where you purchased the book, or, best of all, kids could write a book report and use it as homework (let me read it too, though, even if it’s, like, ‘this book sucked!’ Not everyone likes everything, and that’s just the way it should be). I hope you do enjoy it though.